The Ninth International Conference on Social Robotics ICSR 2017 was held in Tsukuba, near Tokyo Japan, from Nov 22 to Nov 24 2017. Strate Research was there to present a paper and organise a workshop. 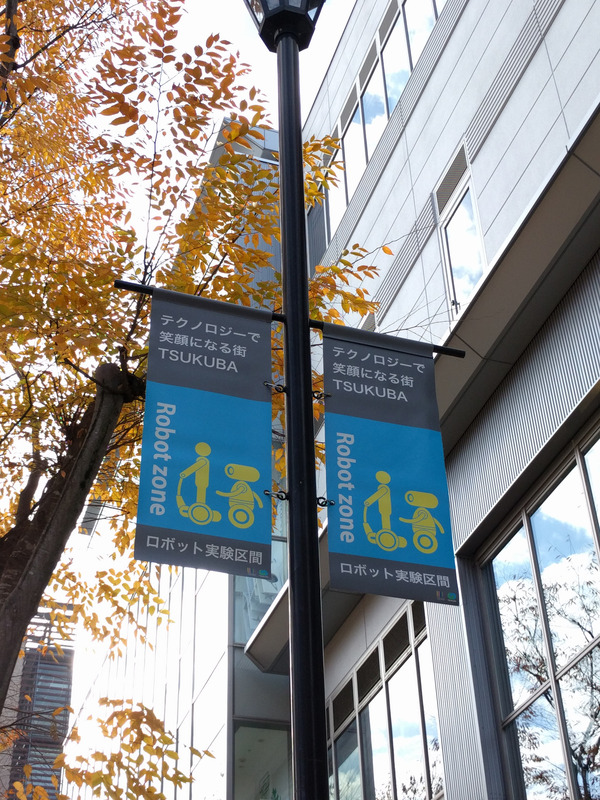 We also took advantage of this trip to visit 3 research centres in robotics in Tokyo! 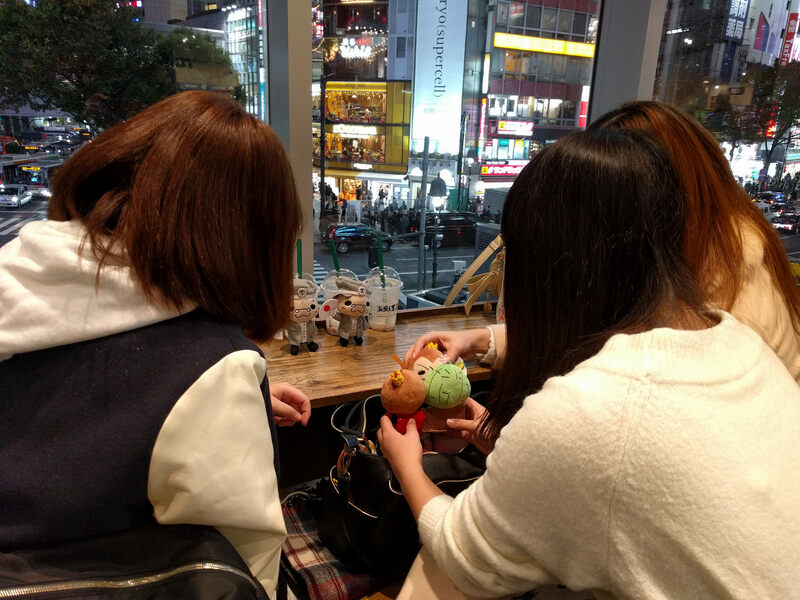 Japan in November was sunny, intense, rich in discussions and lots of long subway trips. 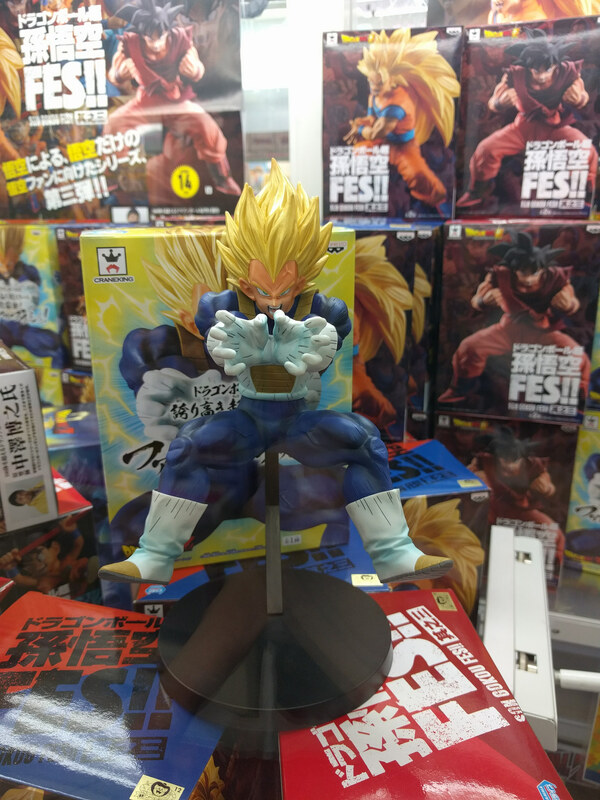 Here is a summary of our visit. 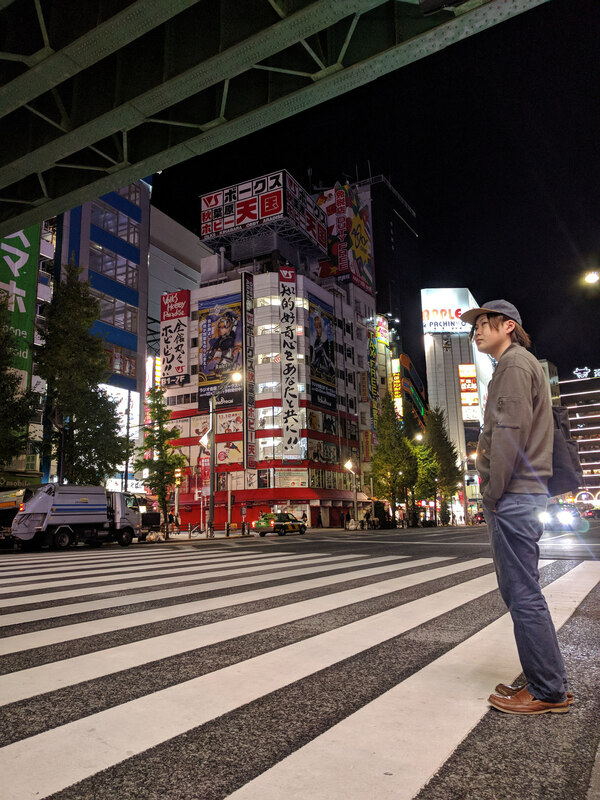 Visiting Takashi at Tokyo University – Art and Robotics at its best! 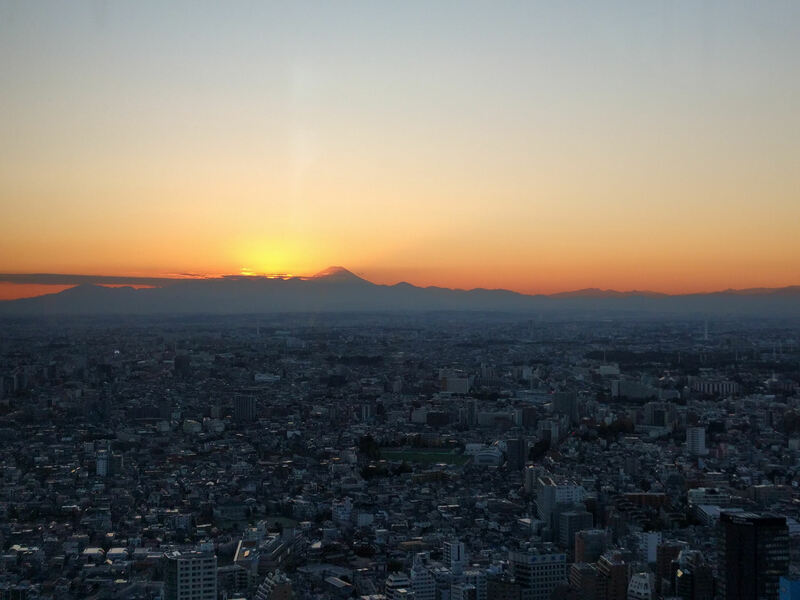 Tokyo University is ranked as the best university in Japan. We had the opportunity to visit Professor Takashi Ikegami at the Ikegami Lab. His research field is extremely interesting – mixing computer science, robotics and art, he works on the concept of “artificial life”. This concept is coined in the 1970 by Maturana and Varela when they started building autonomous systems – programs and installations – that evolve over the time. The creators only design initial rules and the system lives by itself. 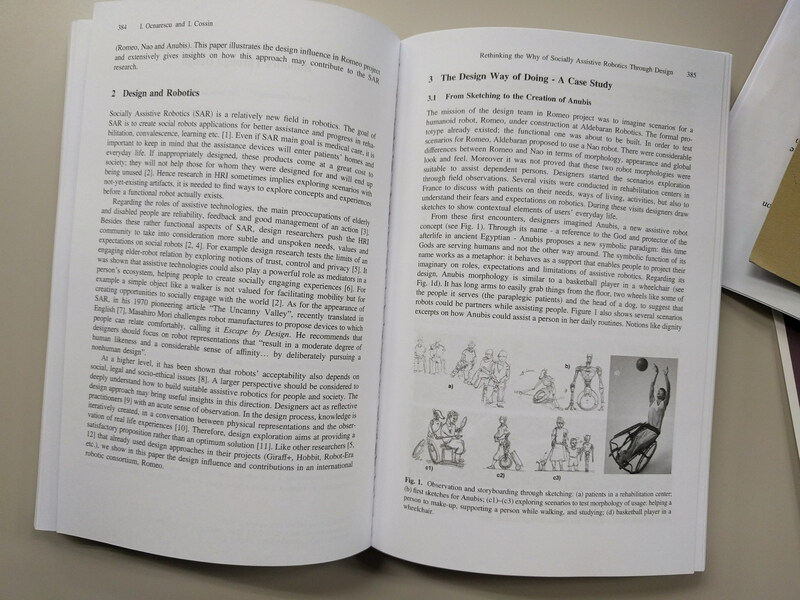 People could interact with the system and even influence the system way of acting. 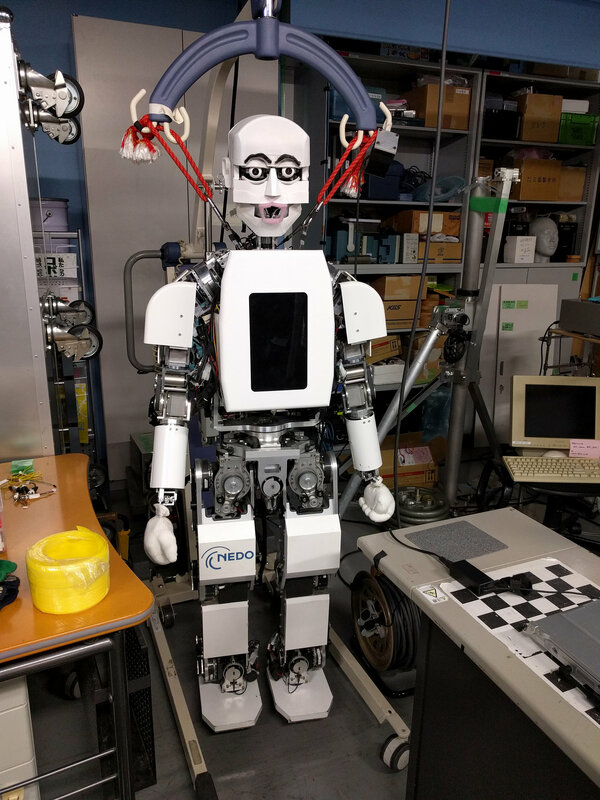 Some examples: Nyloid and Alter robot behaviour that Prof Ikegami developed with Prof Ishiguro. Even if the robotics community seems not ready to evaluate the impact of such artistic installations, artificial life systems could show new paradigms to think and design robot behaviours and interactions with the real word. 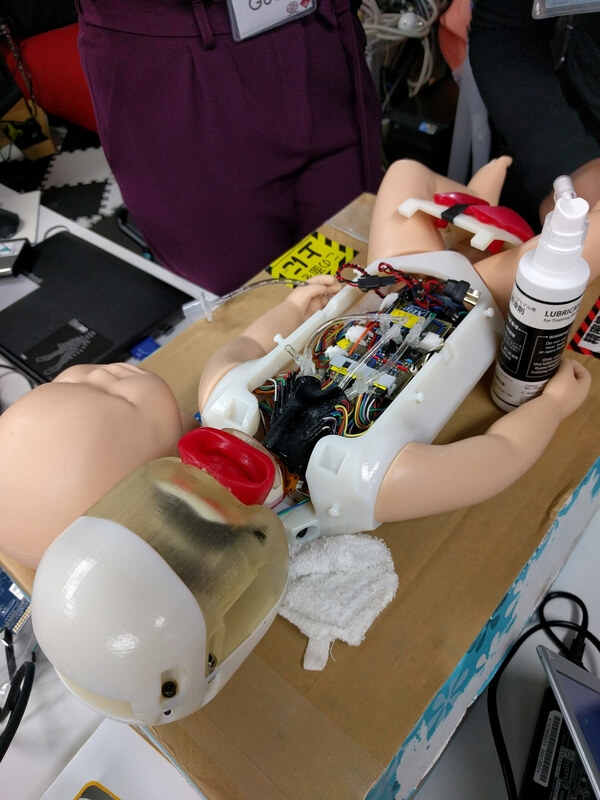 GV Lab – where social robots are built! 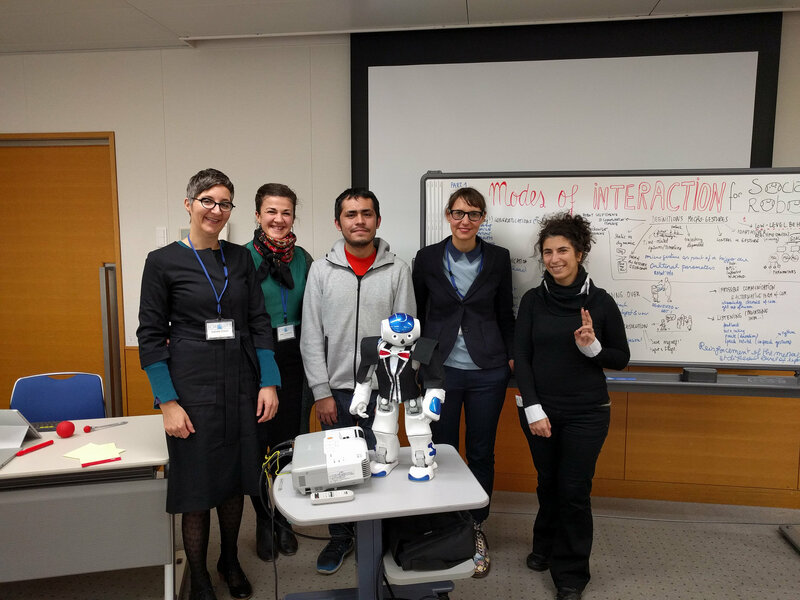 We gave a talk at Gentiane Venture Robotics lab (GV Lab) on what are the challenges of assistive robotics. VG Lab is robotics, computer science and mechanics lab collaborating with therapists, sociologists, psychologists, physiologists, philosophers, neuroscientists, ergonomists, biomechanists, and designers. Its focus is on human motion dynamics and nonverbal communication for a personalised human-robot interaction. We showed how designers could question the role and meaning of the concept of assistance, pushing it to other directions involving human dignity and free will. Gentiane Venture will also come to Strate to give a talk on Nov 29. 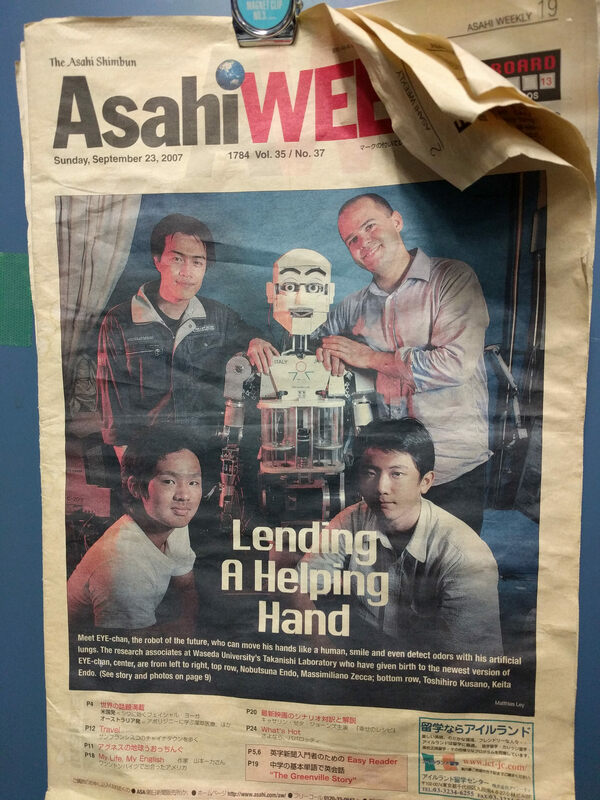 Takanishi Lab and other robotics labs at Waseda University – where real things happen! 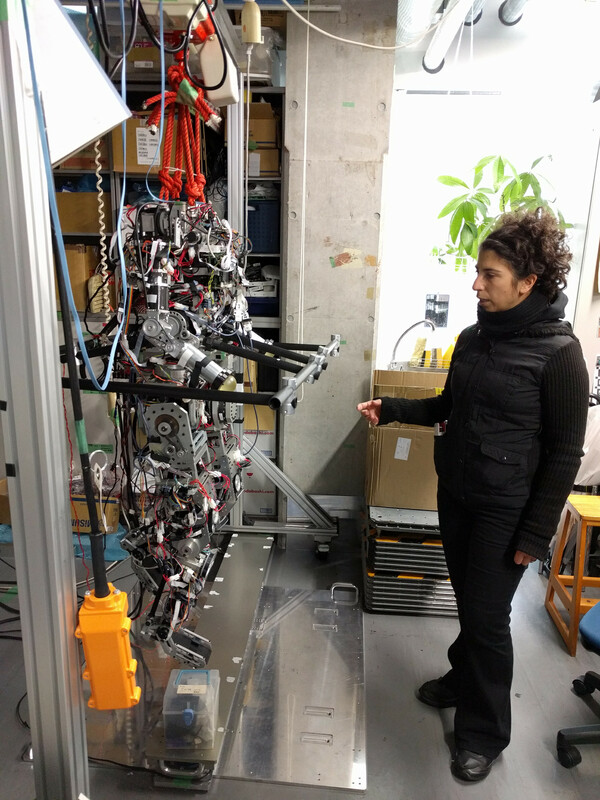 Sarah Consentino, researcher at Takanishi lab presented us the amazing research in robotics that this world-known lab has been doing since 1967. 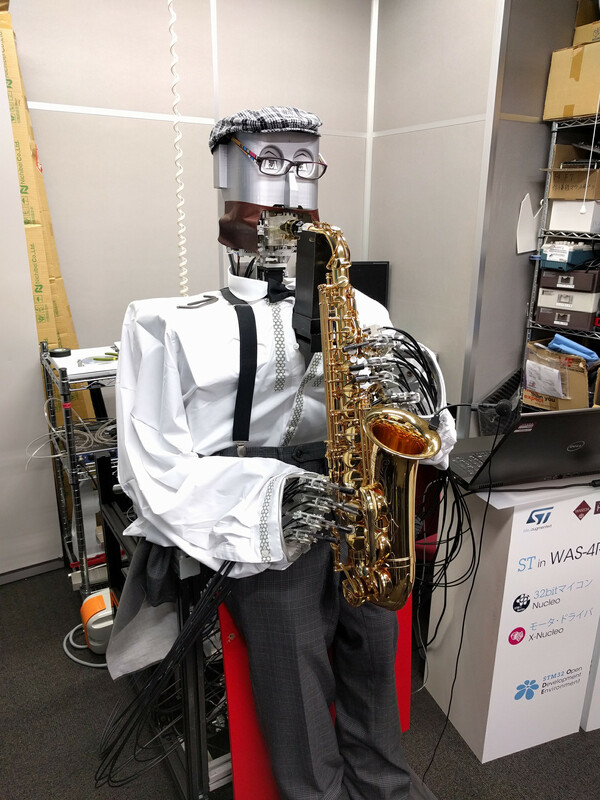 From robots that try to learn to walk like humans or play instruments to robotics for the medical students and emotional robotics, humanoid or less humanoid robots are everywhere. Here are some photos that describe even better the overall research challenges and vision on robotics. 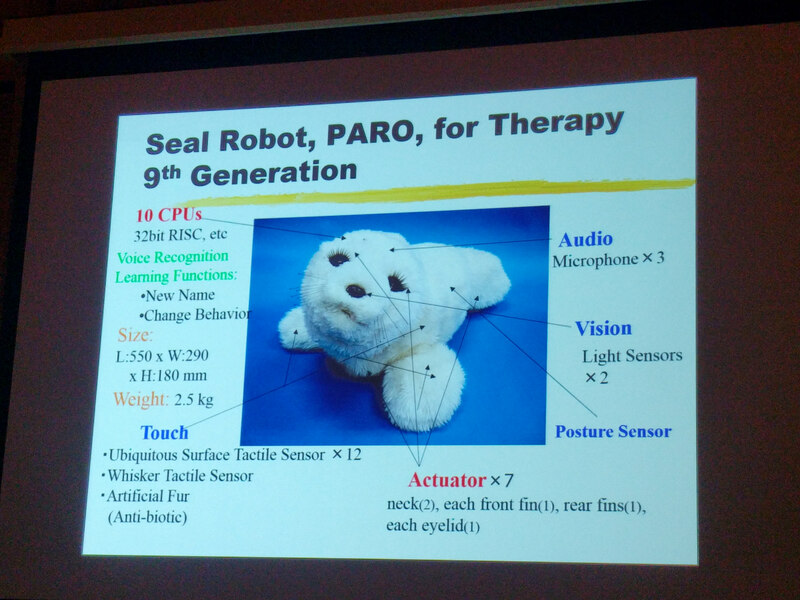 Prof. Takanori Shibata, the creator of the well known Paro the seal-robot for people with dementia, shows the efficiency of such simple and cute artificial pet. Today Paro is a neurological therapeutical medical device in USA, Australia and New Zeeland and more and more used in Europe. Besides calming people, results show that Pero can also reduce pain for children (and for some patients even reduce the drugs prescription), improve communication and reduce burden of care, depression, sleep depravation etc. 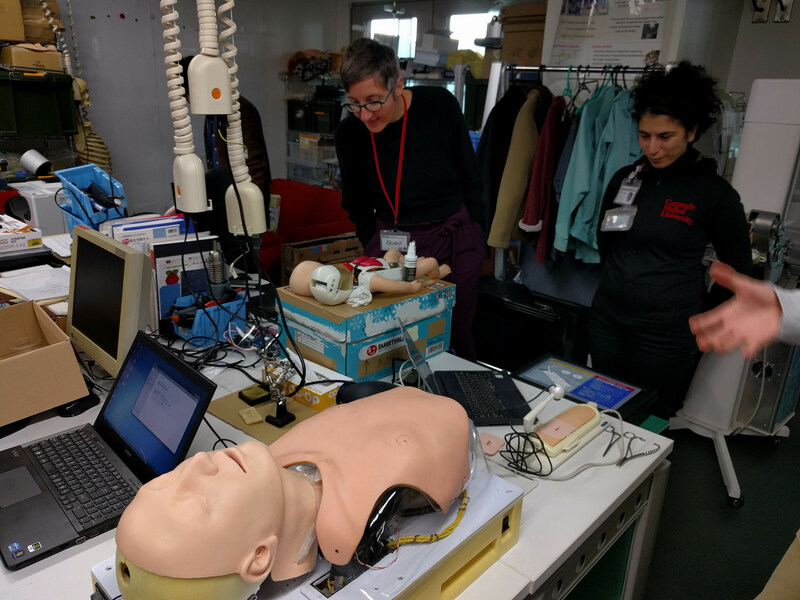 Today Paro is one of the only functional assistive robot that shows considerable results in the therapeutical program. This fact also questions the humanoid form of social assistive robotics. 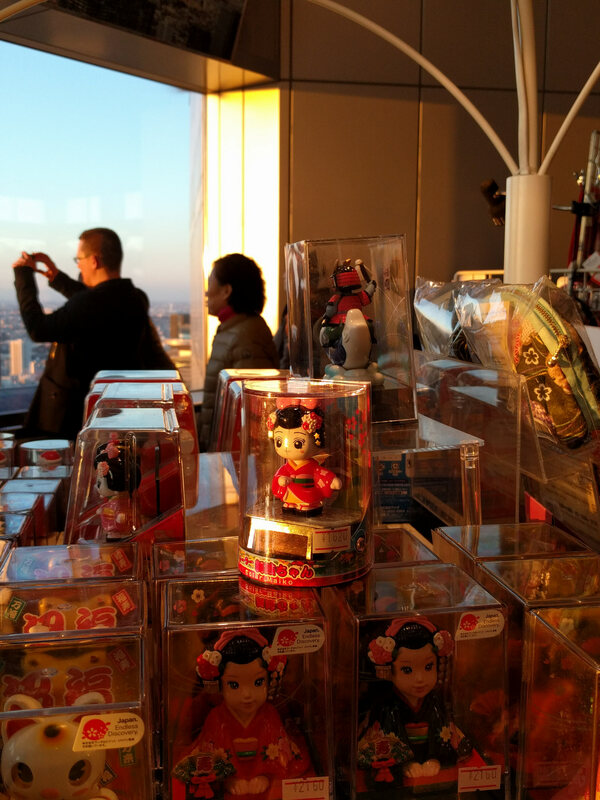 Another inspiring talk was given by Prof. Takayuki Kanda on robots in the public space. He researches this topic for more than 10 ans, experimenting Wizard of Oz applications on a robotic platform built in his lab. 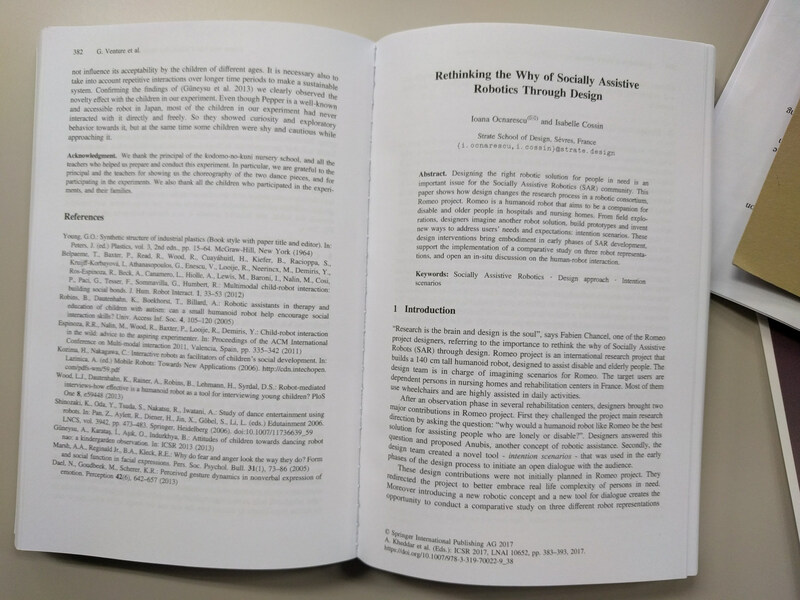 This research focuses on how robots could replace humans in advertising tasks (near a shop) and how robots could give directions in the public place (in the malls). 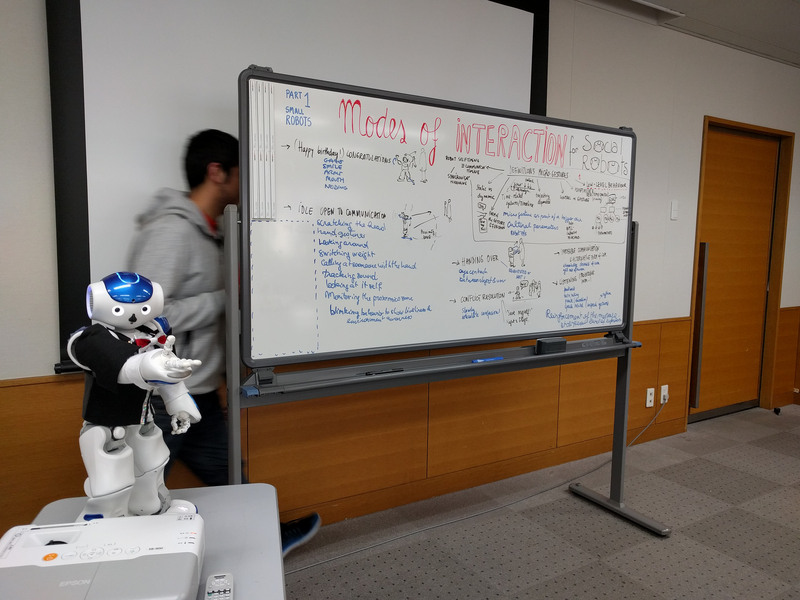 The main idea of this research is to understand human behaviour (individual and group) in these places and how the robot could enter into a conversation, wait for a task, respond to abuse or violence etc. Even if the context might seem quite simple (a public mall), the H-R communication is rich and complex. 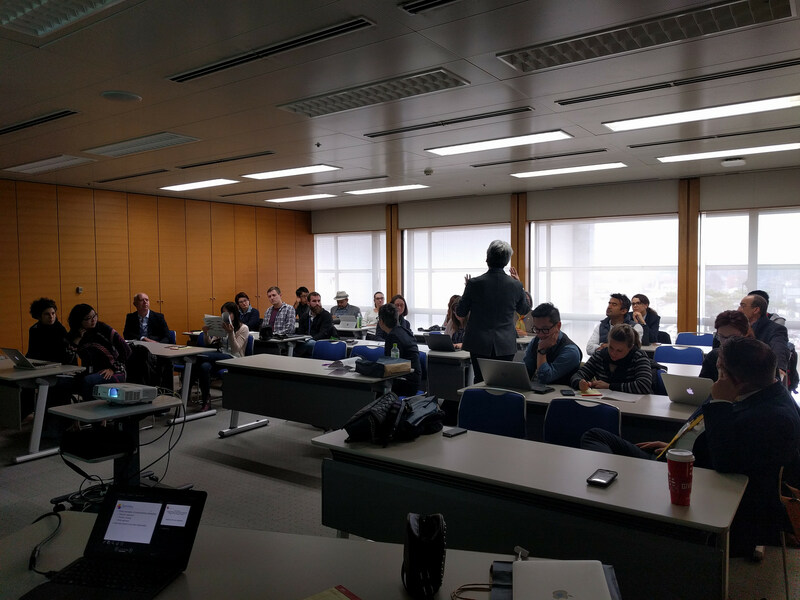 Finally, at the ICSR2017 we also organised a workshop with Gentiane Venture and her collaborators, Coronado Enrique and Liz Rincon, where we had three speakers: Sarah COSENTINO, Amit Kumar PANDEY and Takayuki KANDA and more than 20 participants. More info here: MISR2017 ! And for more photos click here.